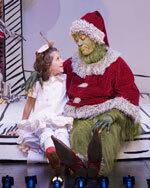 Jay Goede as the “Grinch” in The Old Globe’s annual holiday production of Dr. Seuss' How The Grinch Stole Christmas! 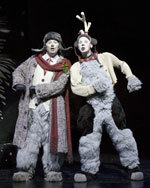 book and lyrics by Timothy Mason; music by Mel Marvin; directed by Jack O’Brien, playing in the Old Globe Theatre November 11 through December 29, 2006; Photo by Craig Schwartz. 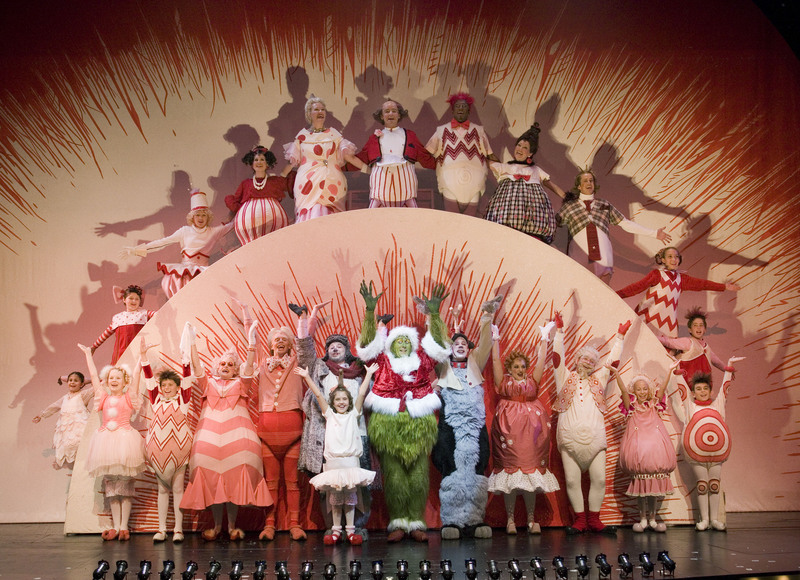 The cast of The Old Globe’s annual holiday production of Dr. Seuss' How The Grinch Stole Christmas! book and lyrics by Timothy Mason; music by Mel Marvin; directed by Jack O’Brien, playing in the Old Globe Theatre November 11 through December 29, 2006; photo by Craig Schwartz. 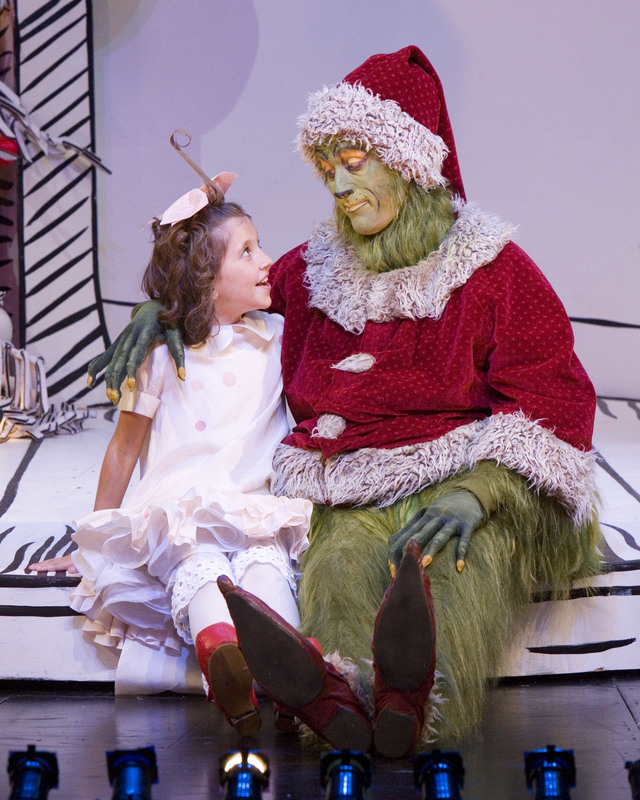 Mackenzie Holmes as “Cindy-Lou Who” (on alternate performances: white cast) and Jay Goede as the “Grinch” in The Old Globe’s annual holiday production of Dr. Seuss' How The Grinch Stole Christmas! book and lyrics by Timothy Mason; music by Mel Marvin; directed by Jack O’Brien, playing in the Old Globe Theatre November 11 through December 29, 2006; Photo by Craig Schwartz. 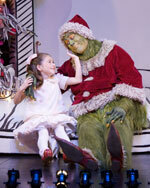 holiday production of Dr. Seuss' How The Grinch Stole Christmas! 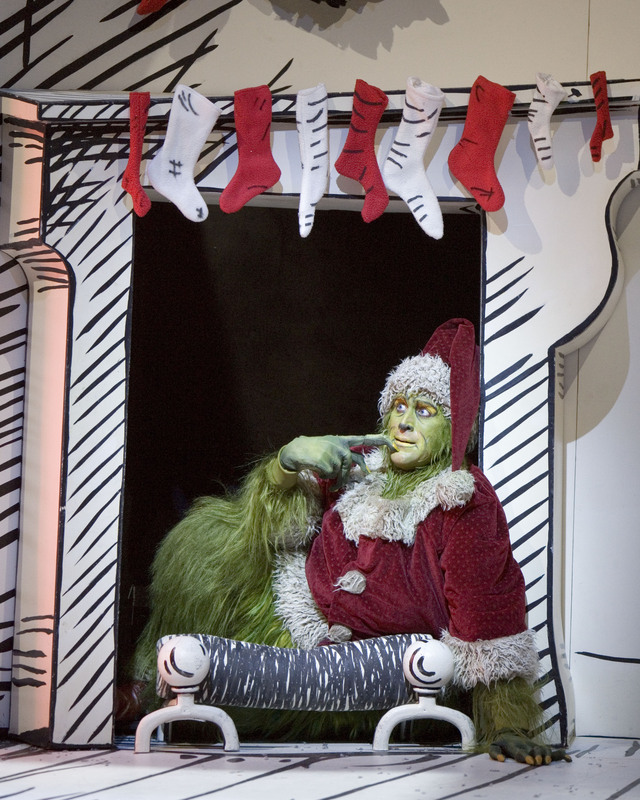 book and lyrics by Timothy Mason; music by Mel Marvin; directed by Jack O’Brien, playing in the Old Globe Theatre November 11 through December 29, 2006; Photo by Craig Schwartz.